Property Insight: A market on the move. Sharing knowledge about selling and buying property, so you can make clever decisions in realestate. This is a significant point in time for real estate. We’re coming out of four years of tough times, but the market is once again on the move. There are lots of opportunities out there and it’s an exciting time to be a buyer, seller or an agent. In this edition of Property Insight, I’m going to discuss what it means generally when a property market begins to climb out of a slump. Real estate is a long term investment. When analysing a market, it is important to look at the long term trend. 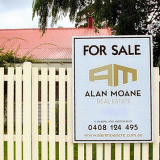 The average number of house sales over the past 20 years has seen around 6640 properties sold per year in Tasmania. Over the last four years, however, average sales have sat at just 5627 properties per year. When you look at movements in the market over time, you can see that it rises and falls in peaks and troughs. In 2015 there were 6682 properties sold, signalling the beginning of a rise in the market. It is likely that total transfers in the market will continue to increase and so too will prices. My mantra has always been that there is never a bad time to buy, as long as you are prepared to hold on to the property until it is a good time to sell. As a rule of thumb, it takes around 10 years to see a solid return. But, for buyers, a rising market is the ultimate time to buy. Buying on the way out of a trough means you can ride the prices into the peak and make huge capital growth. Buying now will result in the most significant capital growth in the next ten-year period. Sellers that have had property for sale through the trough that couldn’t sell, and withdrew from the market, will now find plenty of buyers ready to inspect their properties. The increased demand from multiple buyers means that you are likely to find a buyer willing to pay your price. If you are looking to upgrade your home, from say a $300,000 home to a $500,000 home, move now. You might think you should hold onto your current property to achieve a better sale price, but the property that you want to buy will also increase in value over time. For example, if prices rise 5%, your $300,000 will increase in value by $15,000. The same 5% rise on a $500,000 home will increase its value by $25,000. If you wait for prices to rise to sell your property, and buy the other, it will cost you $10,000. Investors holding property should keep holding on to it, if they can afford to. If you want to access the equity in the investment property, talk to your bank about re-drawing or borrowing against the equity. That way you can still hold on to the investment and gain the benefit of the capital growth that is just around the corner. The ultimate would be to borrow against the equity in your existing property to purchase a new investment property and achieve a great capital gain on both. Those considering moving out of the share market and into a more predictable investment, will find this a rewarding time to invest in property. Everyone’s situation is unique. If you would like to discuss your real estate objectives, I look forward to the opportunity to help you make informed decisions. Alan Moane Real Estate is not like other agencies. It is owned and operated by Alan Moane, a third generation real estate agent with over 20 years experience. Alan has worked for many of the big agencies and learned from the best. Over the years he has also uncovered some common agency flaws. Alan’s experience allowed him to create an agency that was different. Saturday, 01 October 2016 Property Insight: A market on the move. Friday, 13 March 2015 Eight things every buyer and seller must know before making or accepting an offer. Eight things every buyer and seller must know before making or accepting an offer. Select a blog entry Property Insight: A market on the move. Eight things every buyer and seller must know before making or accepting an offer.